As 2018 draws to a close and South London prepares for one last festive blow-out, we bring you a round-up of New Year’s Eve events from each borough. With cosy pubs, dynamic club nights and themed balls, there’s likely to be something for everyone on this NYE line-up. 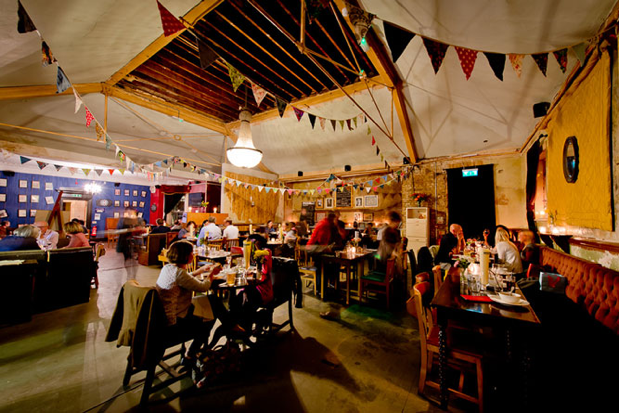 Get down to Balham Bowls Club for a 5 course banquet followed by Live Music and DJs till late! Gorge on either the delicious vegetarian or meat set menu, and dance it off afterwards. It’s £50 per head for the banquet or free entry if you don’t fancy eating! This year, Battersea Evolution are hosting the Around the World in 80 Days New Year’s Eve Ball! At £185 a ticket it’s a pretty penny for a New Year’s event, so here’s some of what is included: Sparkling wine and canapé reception, a four course banquet, unlimited beer, wine and soft drinks (all night long!) entertainment, DJs and dance floors, a live stream of London’s fireworks display, and a free shuttle bus to London Victoria after midnight. Why not try the infamous Bermondsey Beer Mile this new year? Starting at the Cheese Truck on Maltby Street Market, and ending at Fourpure in the Bermondsey Trading Estate, you’re bound to find something for you. Whether you see the mile through (18 establishments) or get cosy in one of the breweries, you’ll sample some great beer and get a feel for the area. Opening times vary depending on the bar. Look no further than Locale Blackheath for a sophisticated New Year’s Eve feast, beginning with prosecco on arrival and ending with a mouth-watering selection of desserts. After this, take a leisurely stroll into the village and get settled in one of Blackheath’s cosy pubs. £79.95 a head! 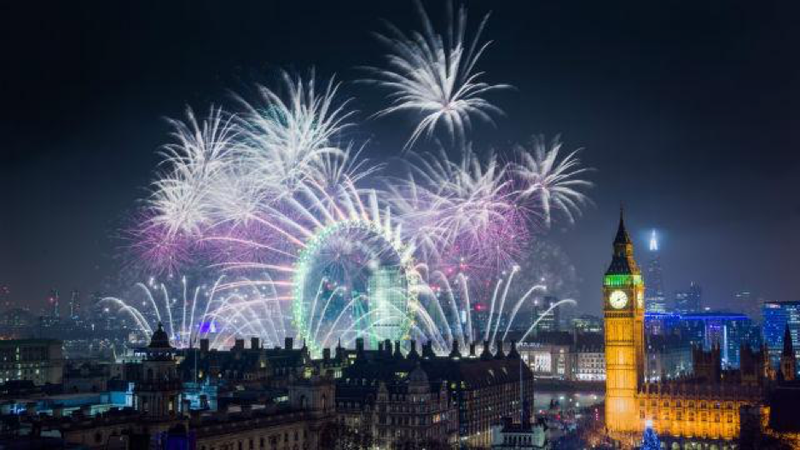 London’s New Year’s Eve fireworks display is now ticketed, but have no fear! There’s a selection of spots around the capital where you can still watch for free, millennium bridge being one of them –make sure you wrap up warm and get there early. You might even bring a flask of mulled wine to fight the cold! 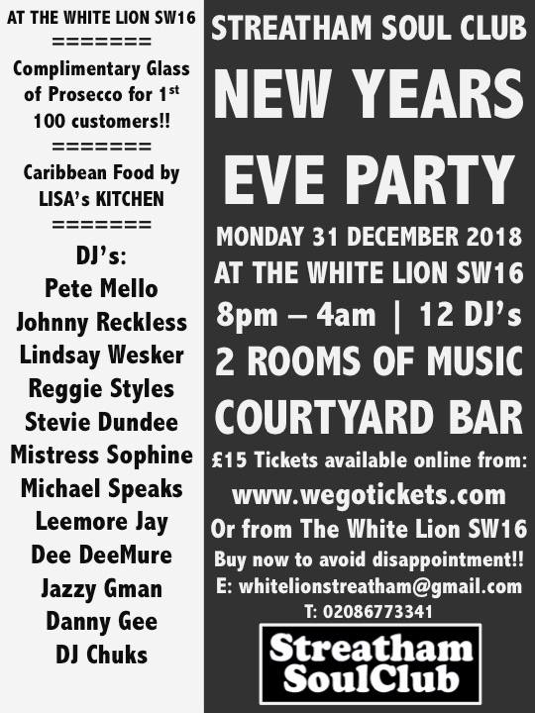 Get yourself down to Brixton Got Soul: New Year’s Eve Special at the Blues Kitchen for some funky drinks, dynamic dancing and soulful sounds. You can even book in for a 3 course meal before the night to set you up! Tickets from £20. Get your glad rags on for the Rivoli Ballroom’s New Year’s Eve Gala Ball! This is a family-friendly night with children over 6 welcome to join the party. Expect jive and ballroom mixed in with pop and party classics to see in 2019. Adults £25, Children £12. Regans the New Inn in Hayes hosts a New Year’s party with Tyber & Peter from the Dualers, a 9-piece Jamaican Rhythm and Blues band from South East London. 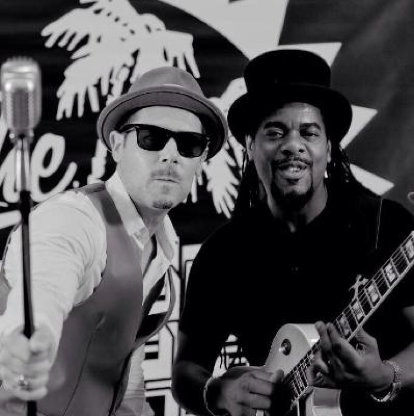 They’ve played alongside some of the biggest names in Ska and Reggae which is probably why tickets for this event are hard to come by – join the waiting list now to up your chances. Get down to The Pigeon, Camberwell to sample some fantastic A&H beers and some of the best wine and gin. This free event is likely to be chilled out with good chat – RSVP now as capacity is limited. Cosy up in the Catford Constitutional Club for an NYE celebration bound to include a hearty dinner followed by timeless music. This grand old building with its old-school furnishings makes the CCC a great place to see in the new year. The Southsider Cocktail Club is home to the One Night Love Affair, hosted by Jaay Music. Expect funky house, R&B and old school hip hop classics with an inclusive bar offering cocktails, beers, wines, house spirits & prosecco – included in the £50 ticket price. The Croydon Park Hotel is bringing in 2019 in style with an NYE package that includes a glass of bubbly on arrival, a five-course luxury buffet, half a bottle of house wine and dancing to the resident DJ. This is a family friendly event! Adults £69.95, children £34. 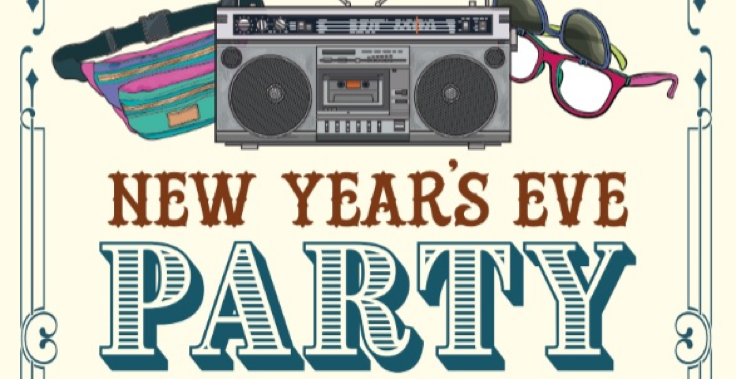 Throw it back a couple of decades at the Faber Fox’s New Year’s Eve 80s Party! You can even fuel your dancing beforehand with either a two or three course menu for £20 or £24. Alternatively, just grab your shoulder pads for a dance and a drink and free entry! 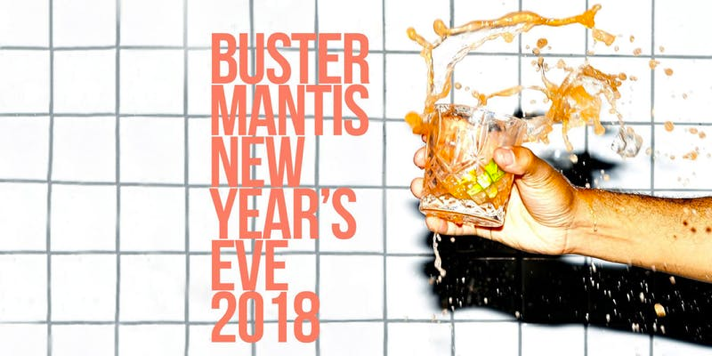 Head to Buster Mantis for a night of drinking rum to R’n’B, Hip Hop, dancehall & Afrobeat. Earlybird tickets from £10! Back for a second run to celebrate the coming of a new year, the Deptford Northern Soul Club are hosting their NYE party at the Bunker Club. Join Scarlett O’Malley and Poppy Turner for soul classics and disco bangers all night long. £11 a pop! By order of the Peaky Blinders... the Great Exhibition Pub in East Dulwich will be transforming into their version of the Garrison. Featuring a speakeasy vibe, 1920s cocktails, craft beers and even casino tables! Dress code compulsory. 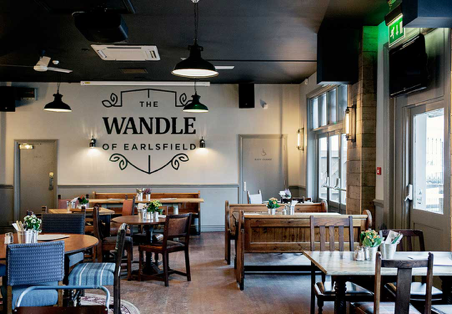 The Wandle of Earlsfield is putting on a New Year’s bash with live music from Jimmi Nolan all night and exclusive beer deals. This is a first come first served event with no tickets required! Get down to Joy Orbison, Powder, Jon Rust and Covco to say goodbye to 2018 at Corsica Studio’s Tief NYE event. With the night ending at 6am, you’re in for a long one! Final release tickets £30. Head to the Tudor Barn, Eltham for a glamorous New Year’s Eve surrounded by thirteen acres of parkland and a medieval moat! Splash out on the dinner & ball entry for £68.50 and get a sparkling cocktail on arrival, a 3 course meal and access to all entertainment. Alternatively, come along to the club night only for £25.50. Boogie into 2019 at the Sylvan Post, Forest Hill for the Groove Thing NYE Special with Mr Strutt. This free entry event will include late night nibbles, party vibes and DJ sets. Get down to the newly-opened Greenwich Grind for a New Year’s evening of DJs, drinks and celebrations. For £15 you’ll get guaranteed entry, a glass of prosecco on arrival, one cocktail of your choice and even another glass of prosecco as midnight closes in! Indulge yourself in 80s music to bring on the new year in style at the Half Moon in Herne Hill! Prizes available for the best dressed party-goers, so get your thinking caps on now. Three course dining options available for £55 or just come along for the party for £10. See out 2018 in the Station Pub in Hither green. Settle down in the late afternoon for some pub grub in the restaurant then grab a drink in the bar, get comfy in a booth and wait for the countdown. You might even want to try out Park Fever across the road, a Craft Beer & Chocolate shop – what a combo! Hop down to the Honor Oak Pub for brilliant beers, delicious food and classic board games. With 16 tap and draft beers and ciders you’ll be spoilt for choice. This is a great option if you’re looking for a calmer night with good vibes! Celebrate in style at Eagle London’s Cheer Up: It’s New Years Eve! You’ll be in the midst of music legends Stock Aitken Waterman, dancing the year away. Early bird tickets are on sale now and it’s predicted they will sell out quickly! 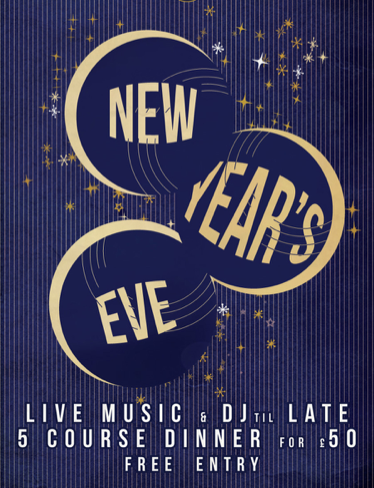 Get on down to the Fox & Firkin’s NYE Extravaganza for non-stop music and entertainment. The night will take place inside the bar and in the garden, with DJs including Ben 35rpm, Ollie Jones & DJ Dawn. There will also be live acts to get down to. £10 pre-sale and £15 on the door. 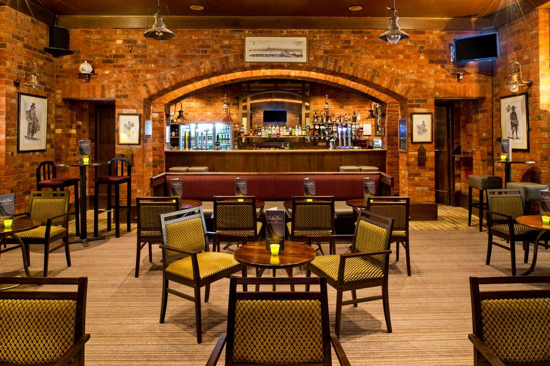 Get settled in at the Lord Northbrook in Lee for a pub grub dinner and New Year’s eve drinks. In the cosy surroundings you can get stuck into a good board game and see in the new year listening to the King’s of Oblivion, the pub’s regular band. They’ll play hits from the mid-60s and 70s! Disco DJs hit Lewisham all night long this New Year at the Dirty South pub on Lee High Road... welcome to Studio SE13! With bulk ticket deals like 8 people plus 2 bottles of prosecco for £35, and disco classics all night long, you can’t go wrong. 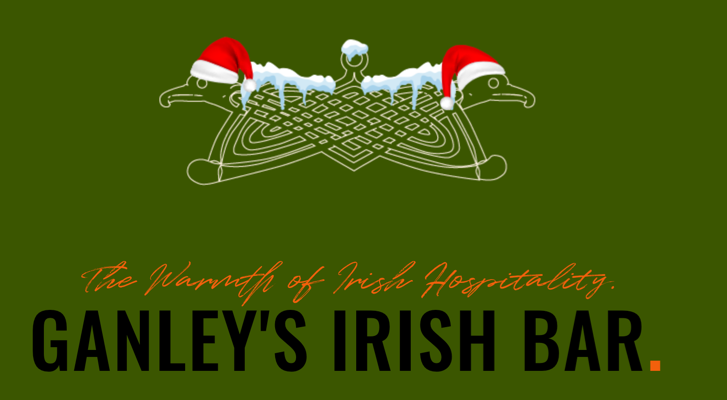 Soak up the festivities at Ganley’s Irish Bar in Morden. With great food and drink (including Christmas specials) you’ll be spoilt for choice. Ganley’s is a great place for larger groups too. Head to the Royal Albert pub, a Victorian free house on the borders of New Cross and Deptford, with eight real beer and cider taps (among other things). They’ve got a seasonal menu that changes weekly, so if you’re looking to sit down and get cosy as the new year dawns, this might be your best bet. If you’re looking for a no-frills New Years Eve, get down to the Old Nun’s Head for burgers until 9pm and non-stop DJs until late! There’s no need to pre-buy tickets, you just pay on the door, so it’s a good idea to head down early-ish to avoid disappointment! Get ready for a long night of funky music under a huge disco ball with the Stevie Wonderland NYE Warehouse Party at the Copeland Gallery in Peckham. You’ll be serenaded into 2019 by the likes of Steven Julien and Dan Shake, and if you get there early you’ll even get a glass of prosecco to welcome you. Last few batches of tickets are available now from £20 plus booking fee. The Duke’s Head in Putney invite you to their Noughties New Year Party. Reminisce about a time when ‘Eminem had the hottest tunes and Donald Trump was at most a reality TV host!’ Standard entry is £10 but you can also get a Premium Noughties Party Pack, which includes entry for groups of up to 6, a table reservation, a bottle of toffee vodka and a bottle of bubbly at midnight for £120! No brainer. The Streatham Soul Club’s New Years Eve Party is upon us! Head down to the White Lion for 2 rooms of music all night long (until 4am). Tickets are selling fast but there are still some of the second release batch up for grabs for a mere £16.50. The first 100 customers through the door also get a glass of prosecco to welcome them! 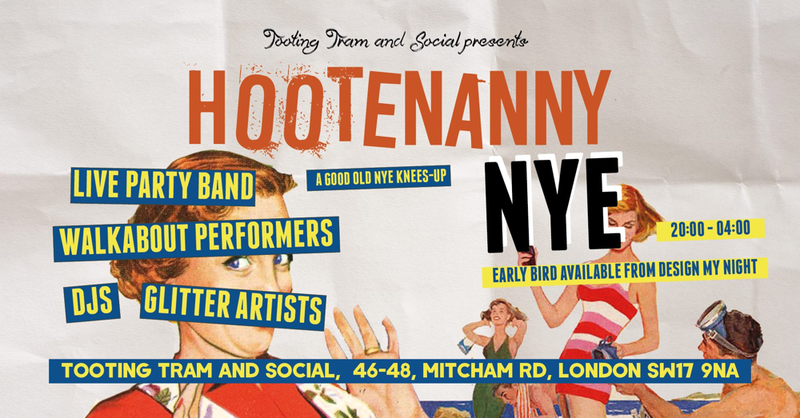 Tooting Tram and Social London invite you to their NYE Hootenanny Party for a good old knees up. Expect resident DJs, walkabout performers, glitter artists and inflatables with early bird tickets for just £10. Also in Tooting... now Hat’s What we Call a New Year’s Eve Party! A hat themed night at the Castle, Tooting! Don your best headgear and get on down, with tickets which include a donation to St George’s Hospital Charity in Tooting. This New Year’s Eve spectacular is set to be just that. For £105 you’ll get the riverside experience with front row seats of London’s iconic fireworks and access to five floors of themed club nights at the Royal Festival Hall. Pick your decade and dress to impress. Wandsworth’s Winterland present an Apres Ski party like no other, including mulled wine on arrival, hog roast, fizz, saxophonist, glitter girl, sparklers and fireworks at midnight and DJ Harry Land to keep the dancefloor rocking all night long. Get down to the Dog & Fox for a Prohibition NYE Party of of loosening morals, soaring stocks and bootleg barons. You’ll be kept entertained by live band and beautiful Jazz that will transport you into the 20s. Tickets are £12 + booking fee!